The French Trotter horse breed developed in France in the 1800s primarily from Anglo-Norman and Norman breeding stock infused with English Thoroughbred and Norfolk Trotter bloodlines. The breed today retains few of the Norman characteristics and most closely resembles the Thoroughbred and Norfolk trotter. The French Trotter is used as both a racehorse and a pleasure horse, and is noted for its level stride, calm temperament and keen intelligence. Interest in harness racing in France began in the 1830s, and with it, an interest in breeding a French trotting racehorse. English Thoroughbred racehorses and Norfolk Trotters were imported and bred with the heavier, more muscular native Norman horses. American Standardbred horses were also interbred with the resulting French Trotter to add speed to the bloodlines. In 1922, the French Trotter was recognized as an official horse breed, and today it is the most numerous breed of horse in France. The French Trotter stands and average of 15 and 16 hands high. Accepted coat colors include bay, brown, chestnut, black and gray, but gray is extremely rare. The head is straight with wide set eyes. The chest is broad and deep with a prominent breastbone. French Trotters have powerful, muscular hindquarters that help them attain great speeds at the trot. They are known for having clean, straight limbs and strong, sound hooves. The French Trotter breed was developed for harness racing. 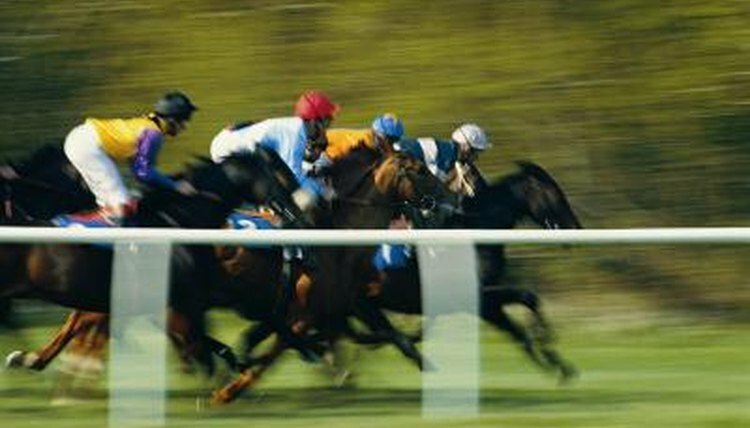 Harness horses race at the trot, and a French Trotter's trotting speed can equal that of a galloping Thoroughbred race horse. The breed is raced on a traditional dirt or grass harness course pulling a sulky, as well as under saddle and in a sport called skijoring, in which the French Trotter races on snow pulling a person on skis behind him. The most famous French Trotter is Young Rattler. Young Rattler was born in 1811 out of a Thoroughbred stallion and a Norfolk Trotter mare and is one of the foundation sires of the modern French Trotter breed. Other famous French Trotters include foundation stallions whose names became the names of the major bloodlines found in French Trotters. These include Fuschia, Phaeton, Lavater, Conquerant and Normand.